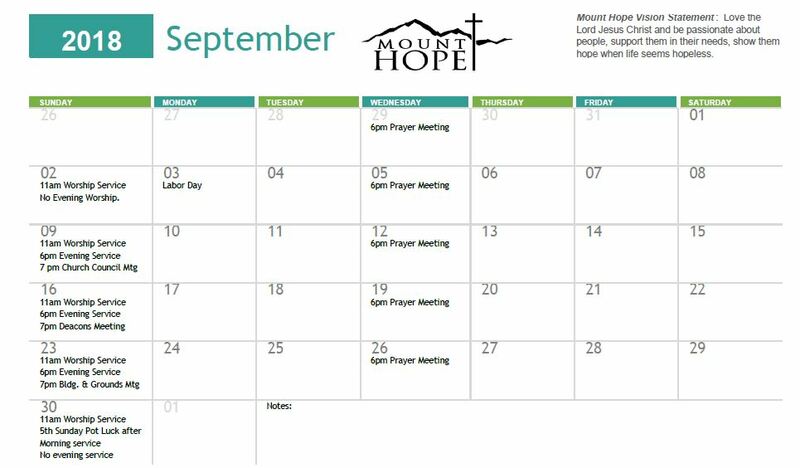 If you would like to update or add an event please contact Jane at mounthopebaptistchurch@gmail.com. ​ Please Note: This email is not monitored daily so there may be a delay in your item being posted to the calendar. In case of inclement weather or other emergencies, please check our Facebook Page for news about last minute cancellations. ​Please select this link for a Printer Friendly Calendar.